Who doesn’t love that crunchiness of a chip or that cheesy flavor of those small pizza bites? Too bad they are anything but healthy, and surely won’t help keep that holiday season weight off! Lovely readers, meet zucchini. 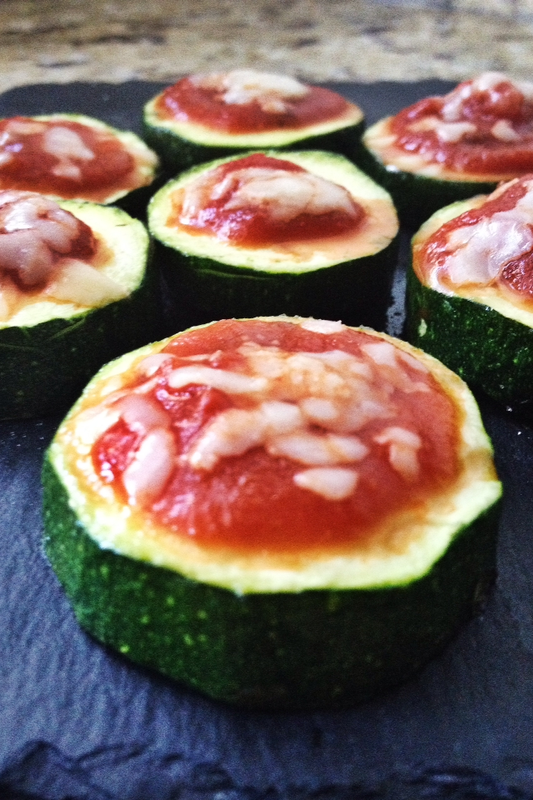 Zucchini can be your new best friend when coming to healthifying foods! Whether it be my zucchini oats for breakfast, my zucchini jicama lasagna in my Holiday Ebook that you can purchase here, or these two delightful simple recipes, zucchini can be used in many way! Here I have made both “chips” and small snackable pizza bites. And boy, they are a yummy midday munchie! What is your favorite game day or tailgating food?! 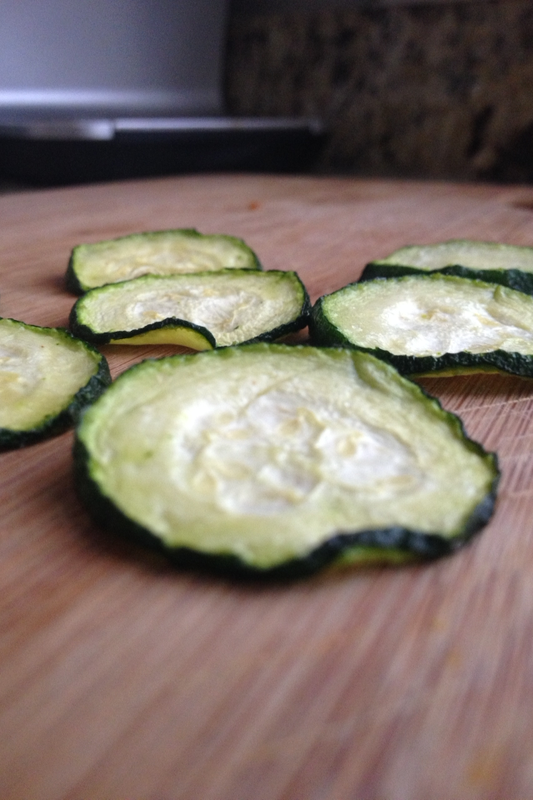 Directions: Preheat oven to 250 degrees F. Wash outside of zucchini. Using a mandolin, slice zucchini very thin. Drizzle with olive oil and sprinkle with sea salt and any other seasonings of choice. On a cookie sheet sprayed with nonstick spray, place slices close together but not overlapping. Bake in oven until crisp. This could take anywhere from 1-2 hours. Directions: Preheat oven to 350 degrees F. Wash zucchinis on outside. Slice into thick slices. Lay slices on cookie sheet sprayed with nonstick spray. Bake in oven for about 5 minutes or until soften. Remove from oven. Spoon about a teaspoon or two of sauce onto each slice. Sprinkle cheese over top. Place into oven and bake for about 5 more minutes, or until cheese is melted.